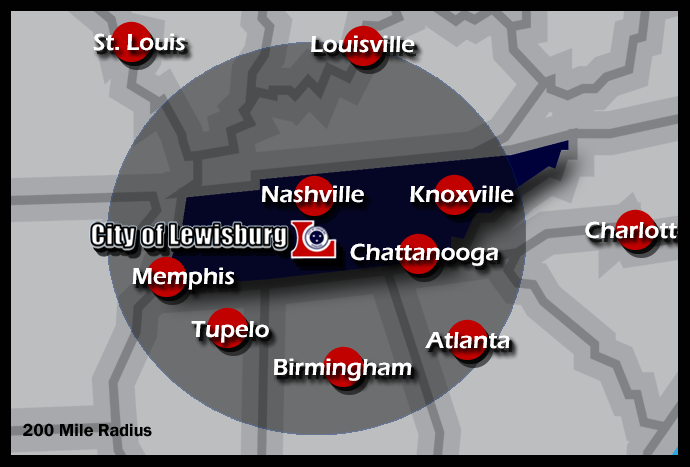 Lewisburg, TN – The City of Lewisburg Department of Economic Development recently achieved designation as a TVA Rural Certified Community. Rural Certified Communities launched in 2018 as a collaborative effort by TVA Economic Development, its Rural Cabinet partners and Strategic Development Group. Strategic Development Group administers the program, providing third party evaluation and feedback related to strategic planning efforts and operational effectiveness from the site selection perspective. Rural economic development organizations who complete this program are recognized as being prepared to compete for job creation and investment. “Creativity and innovation are among our country’s greatest resources and companies are seeking locations that can provide access to those resources. The economic development landscape has drastically changed over the past 50 years. Rural communities must work smarter to define themselves in a unique way, develop robust and broadly defined economic development strategies, and market to a more targeted audience” said SDG Vice President Jeannette Goldsmith. Four local economic development organizations certified during the programs 2018 inaugural year. Based on the success of this program during its inaugural year, TVA Economic Development is continuing to offer this opportunity to rural communities across the Valley. Economic development professionals located in the TVA region who represent a rural-designated community will receive an application if interested in applying for the program in the future. The Tennessee Valley Authority (TVA) a corporation owned by the U.S. government provides electricity for business customers and distribution utilities that serve 9 million people in seven southeastern states. Economic development is a major part of TVA’s core mission. TVA’s Economic Development services are focused on attracting targeted new industries, retaining and growing existing businesses and partnering with communities to help foster economic growth. More information is available at TVA.com.